Rutgers-Newark is switching commencement speakers after its original honoree was arrested over the weekend, campus officials said Monday. Wendell Pierce, star of HBO's "The Wire," was arrested Saturday and charged with battery after a fight at an Atlanta hotel just days before he was scheduled to pick up an honorary degree and serve as Rutgers-Newark's commencement speaker. 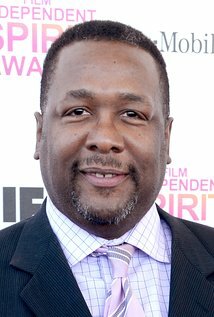 "This morning Rutgers University- Newark was informed by actor and humanitarian Wendell Pierce that in order to assure that commencement 2016 will be a celebration of the accomplishments of our students free of distractions, he is declining to join us and consequently must decline the conferral of an honorary degree," Rutgers officials said in a statement. Pierce will be replaced by journalist Soledad O'Brien, Rutgers officials said. O'Brien will deliver the commencement address to Rutgers-Newark students at Wednesday's ceremony at the Prudential Center in Newark.